Erica Bunker | DIY Style! 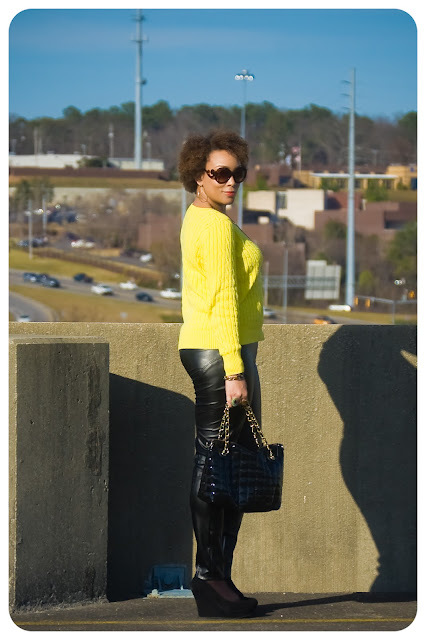 The Art of Cultivating a Stylish Wardrobe: Inspired by Pinterest: Yellow + Black leather leggings! 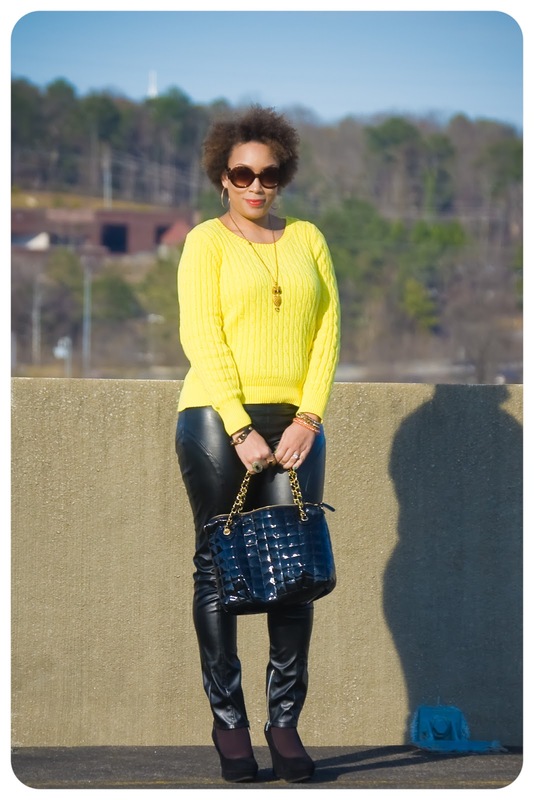 Inspired by Pinterest: Yellow + Black leather leggings! Whenever you fall into a wardrobe slump, Pinterest is definitely the place to go to find that much needed inspiration. 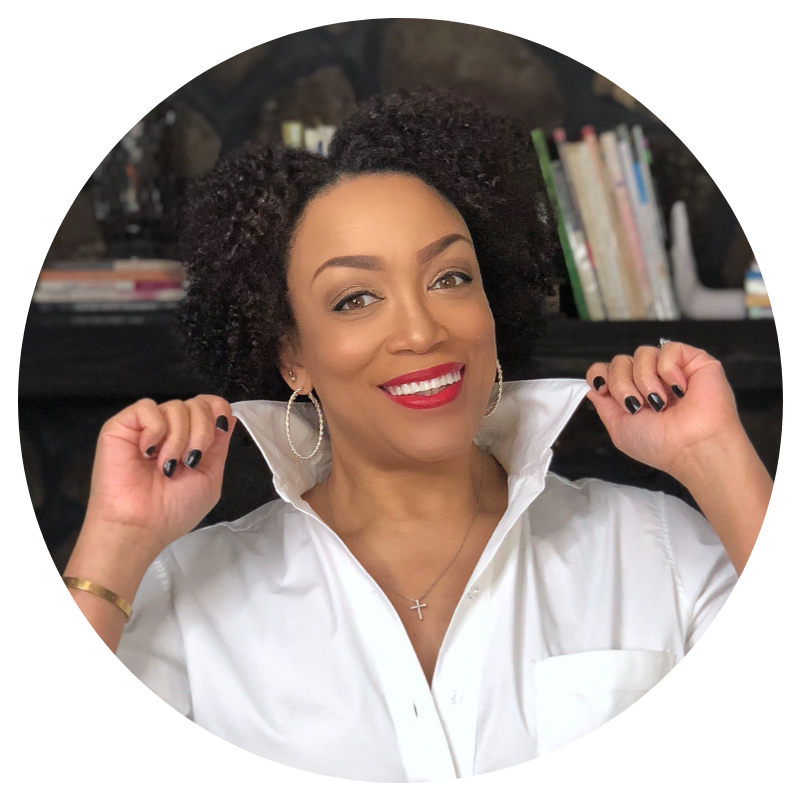 Last week, I was feeling really drained and just didn't have the energy to even think about taking a photo or blogging. But I'm always online and checking out Pinterest. While browsing, I repinned the above. It's really a simple outfit and I knew I had all of the components to make it happen. It started out really chilly today and I was prepared to go head first on this look with a knit beret and coat. But the mercury rose so quickly that I ditched the hat and coat and was damn near ready to peel off the leggings! So I guess you can say my look is a "modified" version! And I added wedges instead of pumps. I had a lot of walking to do today and I was also pushing Isabella around, so I needed more stable footwear. Wearing: J. Crew sweater; bag: Urban Expressions; leggings: McCall's 6404; Steve Madden Wedges. Sidenote: I'm currently cutting out pieces for Spring. When the mercury sticks, I want to be ready! You are totally looking fabulous.....since I belong to 14 other social networks I am afraid of Pinterest.......I know I would become totally addicted..... so I will admire your inspirations! DeniseAngela, Pinterest is definitely addictive! Thanks! That is so funny! Someone else said they could tell my pins too! Thanks! 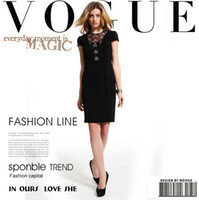 So chic! I´d love to know what you are working on for spring. Your outfit is Pintastic! Where did you find the leather for your leggins??? Thanks Merche Martinez! They'll be posts soon. Faye, I bought it back in the Fall from Hancock. Thanks! Great look and also would like to know where you found the fabric for your leggings. Gorgeous Fabrics also has leather. Our Hancock's doesn't have the good stuff, unfortunately. Erica, you have inspired me to try leather leggings! 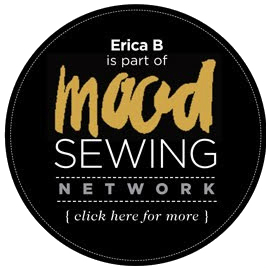 You are clearly and easily the most fashionable sewing blogger in my sphere! Congratulations on another really successful outfit! Awwww... well thank you Pammie! Erin, I'll check GF. I'd sure like to buy some more. I'm also looking forward to seeing what you are cutting for spring. That's a great look! Pinterest is definitely addictive and I get inspired by seeing your pins. It's helped me plan some Spring sewing.